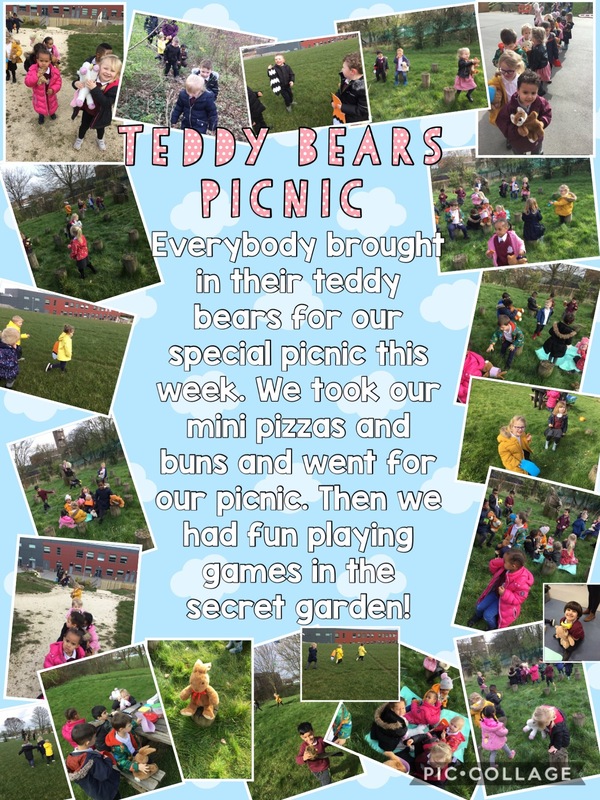 We have been having lots of Easter fun this week! We made our own Easter cards in the workshop. 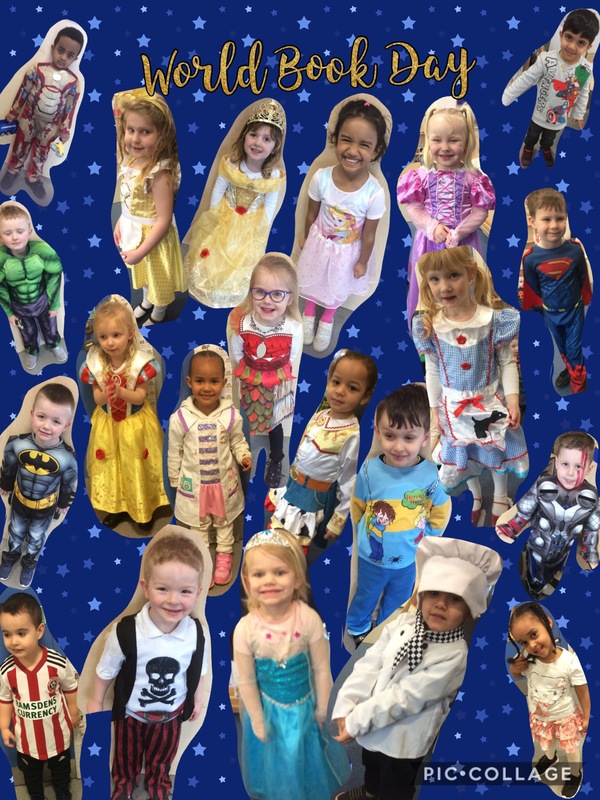 We could choose to decorate them with stickers, feather, card, straws, drawings and glitter. Then we wrote a message for someone special. On the easel we used pencils and stickers to decorate Easter eggs. On the maths table we matched numbers and amounts. We had to find the two matching sides of the egg. 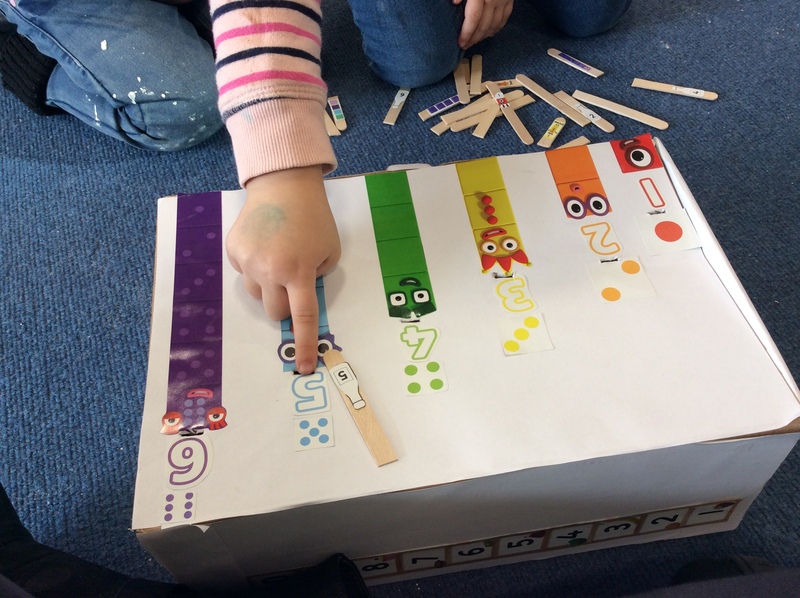 We used number tracks to help us find the numbers we needed. In the outdoor area we had to find the matching half to our Easter eggs. We all had an Easter Egg half and we had to look for the other half, matching the patterns and putting them together. Then we made Easter nests. We added shredded wheat to melted chocolate and put a mini egg on top, they were delicious! 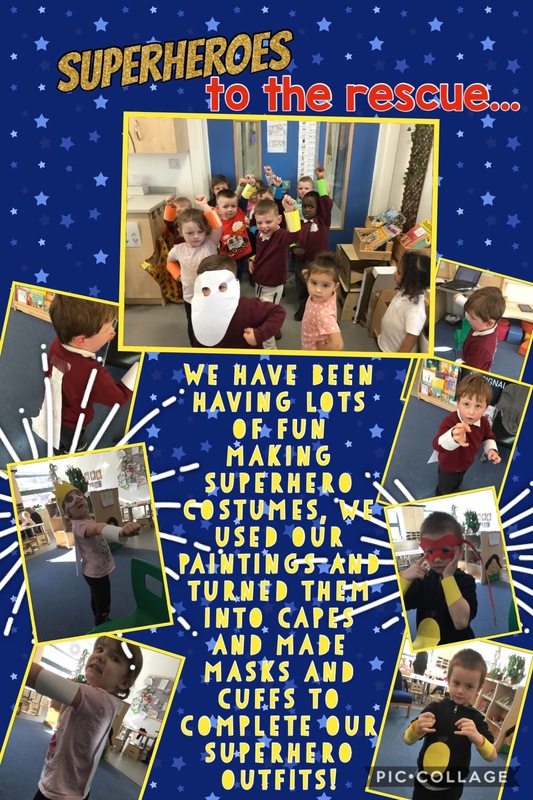 We have had lots of fun this week, what have we been learning? We are SO excited about moving to our new school! We only have a few days left in our old school. While we have been busy starting to pack things ready for the big move we have also been making things for our new classroom. First we wanted to make something to brighten up the outdoor area. 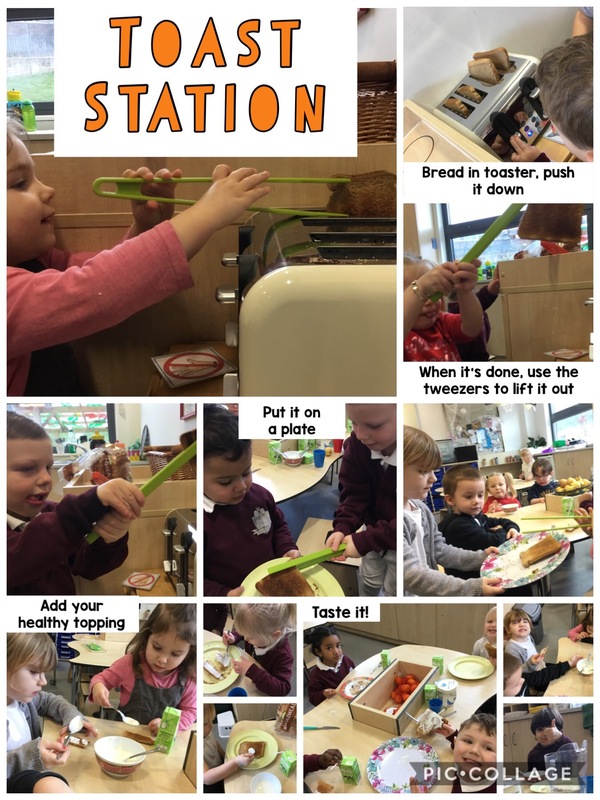 In Nursery we love stickers so we used them to decorate CDs. We stuck foam stickers, animal stickers, buttons and feathers to CDs. Then we used glitter glue to add patterns and detail to our CDs. We will hang them in the outside area to catch the light. Then we wanted to create some art for our new classroom. We wanted to make something that everybody could contribute to. We used a piece of bubble wrap and cut small pieces of ribbon and wool to fill the bubbles. We cut a small hole in the back of the bubble, pushed the fabric through and then taped up the hole. It was very fiddly and tricky, we had to be extra careful not to pop the bubbles! Finally we wanted to make something pretty for our new room. We used a hoop to make something special for our reading area. We cut different sized pieces of ribbon and wool and tied them to the hoop, so the fabric hangs down. We will hang it in our new classroom. Come back to see photos of our new room!